The Westboro Baptist Church is an organization built on hate. The church is well-known for picketing popular musical acts who embrace and support messages of, you know, awful stuff like compassion, equal rights for gay and straight couples, and general respect of everyone’s human rights. Recently, the group announced their plans to picket Panic! At The Disco‘s Kansas City, Missouri show tonight (July 20). 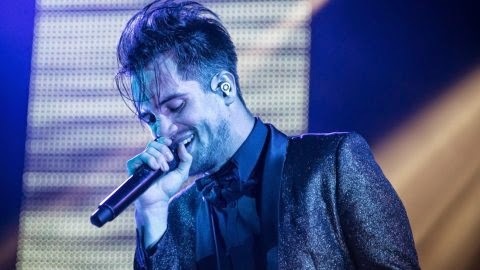 On Thursday (July 17), the church members even went so far as to record a homophobic parody of Panic! At The Disco’s 2006 single “I Write Sins Not Tragedies,” off the record A Fever You Can’t Sweat Out , dubbing their version “You Love Sin What a Tragedy.” You can listen to the terrible rendition at their website: godhatesf-gs.com. Their song blatantly mocks queer sexuality, even including slurs in its lyrics. Panic! At The Disco frontman Brendon Urie has opened up before about his own fluid sexuality—though he’s now married to wife Sarah Orzechowski. As of now, the post has over 18,000 likes. We’re guessing that’s probably more than the number of picketers who show up at the show tonight. They also tweeted their plan, and it has received over three thousand retweets. So, the more picketers who appear, the more donations for the Human Rights Campaign—an incredible cause! Donate here if you’d like to join the band in fighting this hateful organization, and others who think like them.